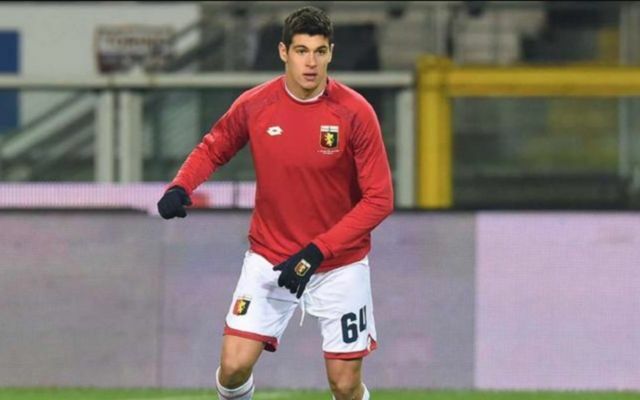 Manchester United have joined Chelsea in the race for 17-year-old Genoa wonder-kid Pietro Pellegri, who has has a storming start to life in Serie A this season, as reported by the Metro. Italian news outlet Gazzeta Dello Sport, which was also re-reported by the Metro, states that the Italian side have received a number of calls from sides regarding the availability of the Italian starlet, with Jose Mourinho Man United being one of those teams. Pellegri, who came through the academy at Genoa, has set the Italian league alight so far this season, with the starlet recently bagging a brace in his side league fixture against Lazio, adding to the goal he scored on on his second ever appearance for the club earlier in the season. The Metro as also reporting that the player’s agent is in England this week, which has fuelled rumours that the Red Devils could be eyeing up a possible deal for the highly-rated youngster. United’s Premier League rivals Chelsea have also reportedly expressed in Pellegri as per the Metro, which could see the two English giants battle it out for the 17-year-old, however Italian champions Juventus are reportedly favourites to land the player’s signature. Should Man United beat both Chelsea and Juventus to the signing of Pellegri, it’ll definitely be worth keeping an eye on the youngster’s development and how he progresses as player over the coming years.